***These are raw, untouched pictures of our campers before camp, immediately after camp and at least 5 years later showing their long-term results honestly. Camp Jump Start is a whole health camp for kids. We address and transform the whole health of every camper – physically, emotionally and socially – bringing them improved health, happiness and hope for a better life and the skills to continue their success at home. 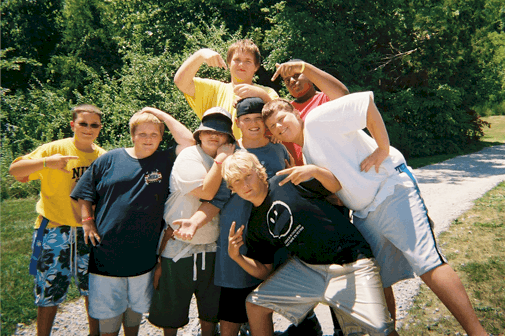 Camp Jump Start weight loss camp for teens was founded in 2003 by registered nurse Jean Huelsing and her family. This camp has revolutionized weight loss camps for kids with health professional designed programs and licensed professionals teaching on-site. Success of the children and families through Camp Jump Start weight loss camp for teens is well documented in consumer magazines and scientific articles, recognized by letters of support from institutions such as the National Institutes of Health and Washington University School of Medicine. See the difference a summer can make! Our kids are successful. To date, all of our kids have achieved weight loss and accomplish results they never thought possible*. Our tuition is affordable, fair and honest and the best value in the nation. We are the only not-for-profit camp of its kind. We are driven to help kids, not by a bottom-line. *Results may vary from camper to camper.